Heavenly Father, We thank you for giving us Blessed Edward Poppe. increase. May his testimony encourage many to live as true Christians. May his example inspire young men to become priests for today. ask this through the intercession of Mary, his and our Mother. Amen. Our Father…. 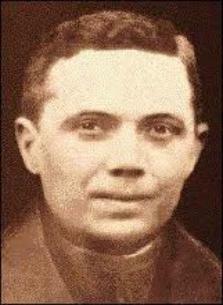 Hail Mary… Blessed Edward Poppe, Pray for us!